Earlier, Russian President Vladimir Putin said that Moscow expects Ankara to "act first" and apologize for downing Russian fighter jet Su-24. Turkey wants to improve relations with Russia, but does not understand what kind of first step Moscow expects from Ankara, Turkish President Recep Tayyip Erdogan said. "I do not understand what kind of first step is being expected from us. We are not a country that is sitting in the defendant's chair. We did not row with Russia. On the contrary, we are the country that wants to develop relations with Russia. We have been friends with Putin, and when one sacrifices such a vast country like Turkey because of a pilot's mistake, or for any other reason, it raises some thoughts. I think we need to make efforts in order to rebuild relations with Russia. 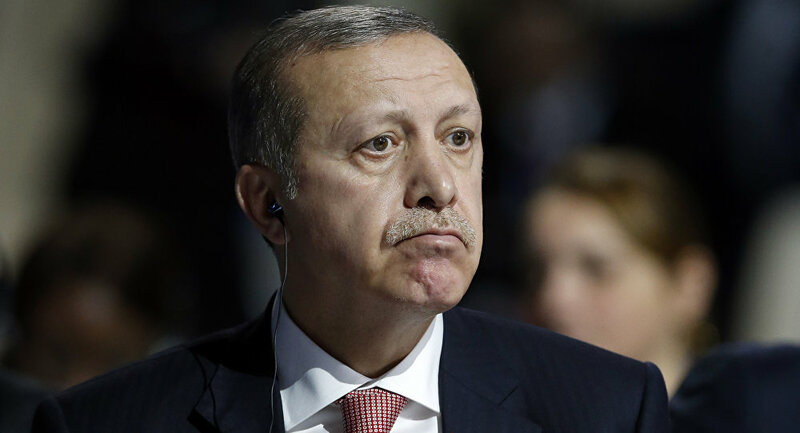 I hope that we can overcome this problem as soon as possible," Erdogan said at a press conference. Tensions between Moscow and Ankara ignited after a Turkish jet shot down a Russian bomber involved in airstrikes against terrorists in Syria last November. Russia imposed restrictive measures against Turkey, including sanctions in trade, tourism and investments. During his recent visit to Greece, Vladimir Putin said that Russia wants to resume relations with Turkey but expects concrete steps from Ankara, including an apology and compensation for the downed Russian plane. Earlier, the new Turkish Prime Minister, Binali Yildirim, said that the normalization of relations with Russia is one of the main priorities of his government program.